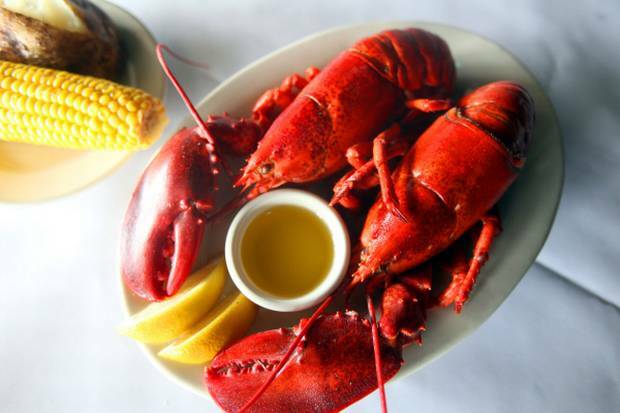 Details: Twin Maine Lobsters for $25.99. Plus we are featuring several Smuttynose beers! This is event will sell out super fast. RSVP's are important, (845) 647-3000. Smuttynose was founded in January, 1994. It released its first beer, Shoals Pale Ale, in July of that year, followed shortly thereafter by Old Brown Dog. Smuttynose Brewing is related by common ownership & history to the Portsmouth Brewery and, indirectly, to the Northampton Brewery, located in western Massachusetts. The chronology goes like this:?1987 - Brother & sister Peter & Janet Egelston, along with partners Cora Lee Drew & Mark Metzger, start the Northampton Brewery, which is now the oldest brewpub in New England. ?1991 - The Egelstons & Metzger start the Portsmouth Brewery, New Hampshire's first brewpub. ?1992 - Peter & Janet buy Metzger out of the Northampton & Portsmouth partnership. ?December, 1993 - Peter attends the bankruptcy auction of the Frank Jones Brewing Company & purchases the assets that form the basis for Smuttynose Brewing, founded in January, 1994.?2000 - Peter & Janet Egelston buy each other out of their partnership. Janet remains owner of the Northampton Brewery; Peter & his partner Joanne Francis own Smuttynose and the Portsmouth Brewery. Smuttynose beers are distributed in 22 states and the District of Columbia, from Maine to Florida and as far west as Wisconsin. Chef Guiliano has been an advocate for over 13 years on healthy, sustainable, local & real food. Zagat says “Stealth Health”. He found his mission in cooking when he reversed a handful of medical conditions including 28 years of asthma. For more information visit www.chefonamission.com. www.aromathymebistro.com.